Real estate investment is one of the biggest and important decisions of everyone’s life. It is really important to consider some aspects while finalizing your dream home. If you are looking for a dream residential project in Gurgaon, then numerous options are available. Top developers from all over India have set up the world-class residential projects in the city equipped with smart features and exotic facilities. 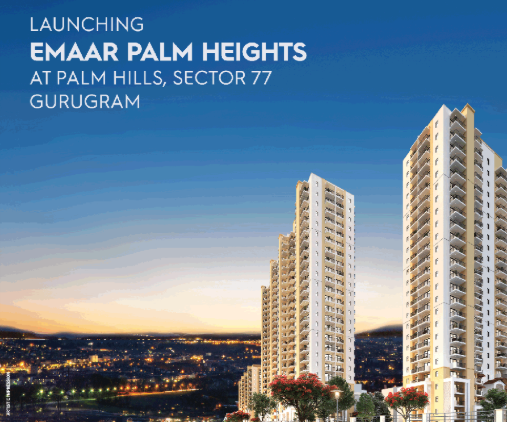 One of the top real estate developers Emaar India is coming up with a new range of luxury apartments project Emaar Palm Heights in Sector 77 Gurgaon. The development offers 3 BHK premium and elegant homes loaded with amenities that all luxury homeowners would love to cherish. Each apartment at Palm Heights is unique in its own way. The apartments are spacious and offer beautiful and green views. 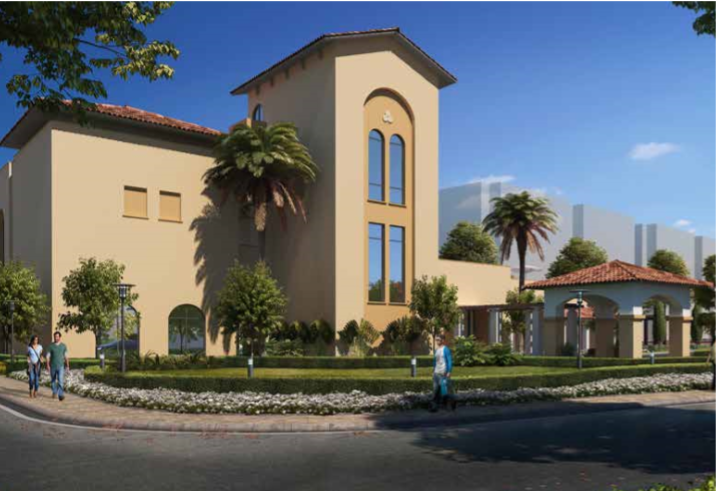 If you are fond of homes equipped with green living facilities, then Palm Heights is the best option. The floor planning at these beautiful homes is brilliantly done that it overlooks the central greens and ensuring the security and privacy of your family at the same time. The wide open balconies and the large windows at these apartments ensure maximum natural light and air to reside in. When it comes to the amenities, Emaar Palm Heights Gurgaon offers several lifestyle features to elevate the living standard of residents. It offers modern clubhouse where one socialize with the other members and residents of society, covered car parking, well-lit and marked roads, sports facilities, large landscaped greens and swimming pool with deck. These amenities are amazingly planned to be loved and appreciated by the residents. Located in Sector 77 Gurgaon, the development comes in close vicinity to all the important landmarks in and around the city. Places like reputed schools, colleges, medical facilities, banks, ATMs etc. come in close vicinity ensuring to make the living of residents comfortable. 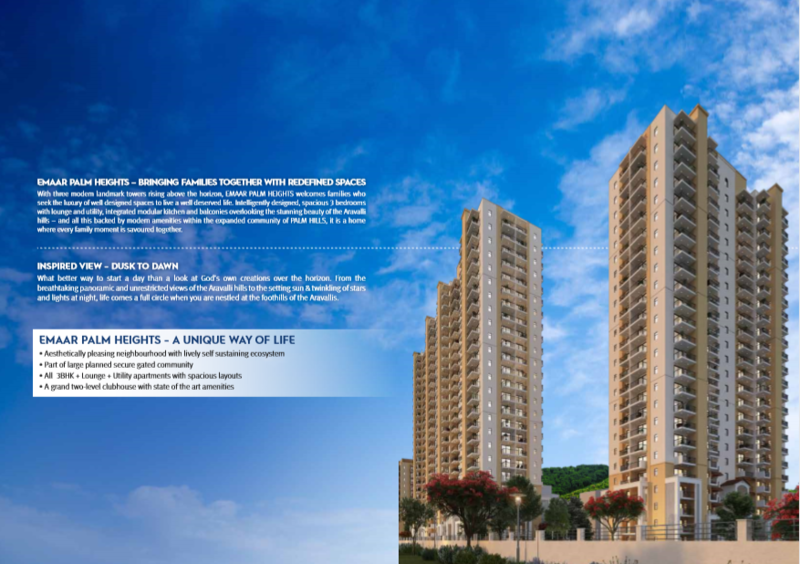 Emaar Palm Heights Sector 77 Gurgaon is located at the intersection of NH-8, Dwarka Expressway and 60 mtr. wide road ensuring an easy accesses. Several shopping malls, restaurants and multiplexes are also located very close. All the modes of transportation are also easily accessible from the project location making the commutation easy.